Avebury Stone Circles lies in the heart of the Wiltshire Downs just west of Marlborough ,ninety miles west of London . Avebury Circle was built during the Neolithic period and is the largest complex of Stone Circles on earth. 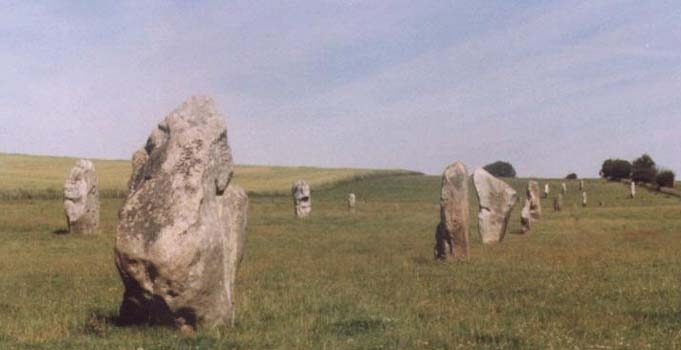 The total area of the Avebury Circle is about 28 ½ acres. The depth of the ditch was originally 21-30 feet (7-10 M) and the height of the bank was 18 feet (6.7 M) so that originally the total height could have been about 50 feet, from the base of the ditch to the bank crest.